Swimming pool dehumidifiers are used for indoor pool areas or rooms to remove excess moisture from the air. Maintaining the right levels of humidity in such rooms is critical to prevent moisture intrusion which has many negative effects to structures and human beings-especially when mold conditions result. The right humidity levels for pools should be between 60% and 65%. Above 70%, humidity causes the room to become uncomfortable.When humidity is lowered to below 60%, it becomes too dry and unpleasant to swimmers when they leave the pool. A pool dehumidifier is designed to lower humidity in indoor pool rooms using similar technology to that found in your refrigerator or air conditioner. 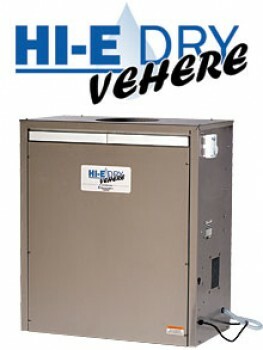 The dehumidifiers contain large metal plates cooled by refrigerant gases. These cold plates force moisture in the air to condense into droplets of water. Several modifications are usually made to the technology to incorporate heat recovery with pool dehumidifiers. The resulting system recirculates pool air, removing excess moisture and recovering the moistures latent heat during condensation. This results in effective maintenance of pool water and air at 81 degrees and 84 degrees respectively. Getting the right pool dehumidifiers requires taking some factors into consideration including calculating the surface area of your swimming pool so that an estimate of the amount of moisture that is being evaporated can be determined. The value obtained is then matched to the capacity of various pool dehumidifiers to get the right one. When placing the pool dehumidifier, it is important to ensure that electrical installations are done well and at considerable distance from the water area. You will also need to have a drain for the dehumidifier near where the unit will sit. It is advisable to have an engineer look at the specs of your area to be dehumidified and have them determine exactly what type of equipment you need to properly dehumidify the space. Usually a qualified distributor can get you in touch with an engineer without it costing you anything. This article was published on Tuesday 18 December, 2012.